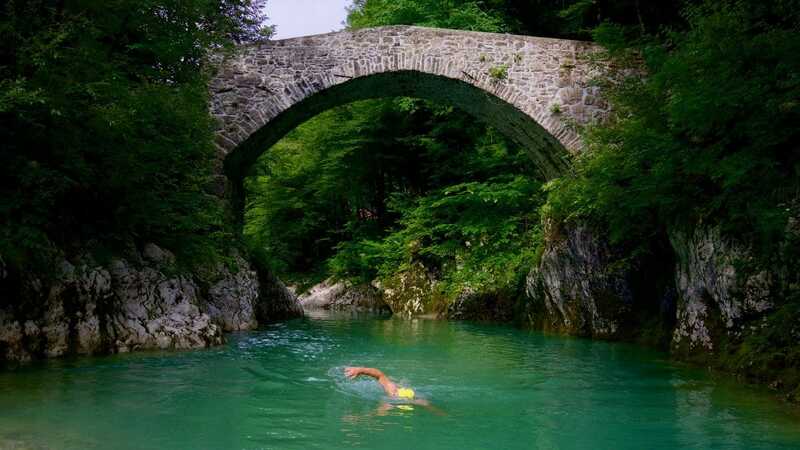 If the turquoise-blue Soca is too fresh and the Kozjak waterfall is too extreme for you, then you might find your wild-swimming luck at the Slovenian Nadiza. If you drive from Kobarid in the direction of Italy, you soon come to the Nadiza. As the bathing areas in the lower reaches are still quite shallow, it is recommended to drive at least to Podbela, where there is a first swimming area with parking (from June 15th to August 31st), a picnic area and a small kiosk. This bathing area is ideal for families with smaller children due to its shallow shore. However, if you drive further upriver, you will reach the Napoleonic Bridge on the right hand side, southwest of the village of Podbela, before a steep incline. Under this bridge is a beautiful natural pool. There are also beautiful rocks for cliff jumping. However, for the jump from the bridge, the depth of the water may not be enough. When I was there at the beginning of June for my photographs on my book “Wildswimming in the Alps”, I had the spot for myself. In the main season, however, that should be different. 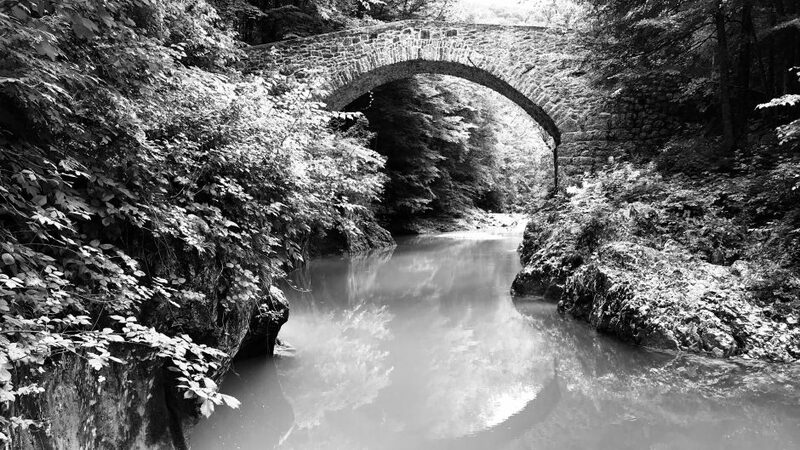 If you want to populate it here, you can go further – up the river – and try your luck at the bridge southwest of the village of Logje. Although this bathing area is interesting from the rock formation, it is by far not as attractive as the one at the Napoleon Bridge. … on and in the water and here in the alpine-swimming blog. Therefore register now and subscribe to get informed and stay. You are also welcome to contribute your own contributions to the additional attractiveness of this blog.